Urban habitats are generally considered highly invaded by exotic species due to the frequency and extent of disturbance caused by human activities and development. Our previous study had demonstrated that forested wetlands within residential areas are more extensively invaded than wetlands within industrial–commercial areas. In this study, we investigate whether the structure of the forest edge and seed dispersal can explain the differential in the invasion of wetlands surrounded by industrial and residential land use. Our results indicate that edges of industrially bordered wetlands are denser, with vegetation concentrated at the boundary of tree growth, whereas the edges of residentially bordered wetlands are more open and diffuse. This difference influences the number of seeds and species capable of dispersing into the wetland. Less dense edges resulted in a higher number of seeds entering residential wetlands; however, there were no differences in the numbers of exotic seeds or exotic species in the seed rain residential and industrial wetlands. Although seed dispersal could not directly explain differences in the current extent of invasion of these sites, seed dispersal did follow corridor pathways, including ditches and trails that breach the edges and extend through the wetlands. 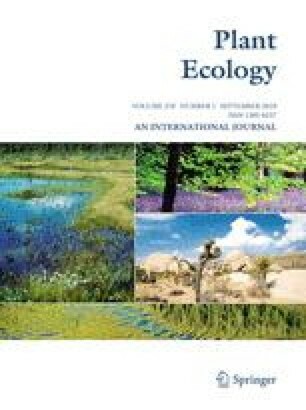 These disturbances act as corridors for seed dispersal into both types wetlands and may play a role in introducing new species to the interior of the wetland, an outcome supported by a higher number of exotic species in the seed banks of residential sites. Our results suggest that both the type of adjoining land use and the provision of access to people on trails in urban wetlands can affect the composition of these communities. We thank the New Jersey Water Resources Research Institute, Society of Wetland Scientists and Education Foundation of America for funding this study. We also thank Mike Bartels for his assistance with field collections, Matthew I. Palmer for his assistance in plant identification, and Peter Morin and Kenneth Elgersma for their assistance with statistics.